Welcome to our Online Door Handle Designer. No need to be satisfied with off the shelf designs, here you can design your own. All Handles sets come with 2 handles, all internals, striker plates and locks (if applicable). So everything you require to install and use them. Follow these steps to design and order your new door handle. 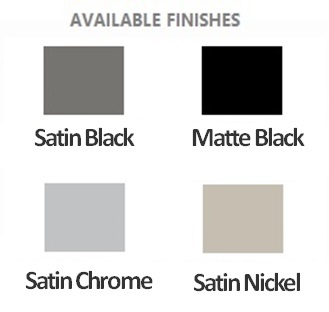 Satin Nickel: Nickel finish on top of Brass, looks spectacular. Dummy: These are dummy handles which are fixed in place, do not turn or lock. They are normally used on wardrobe doors. These come with 2 handles so do require a handle on each side of the door to be installed. Any issues with designing your door handle, please don't hesitate to contact us !